Uncanny Factoid: Most Expensive What?!? Teabag! We have brought you a great plethora of most expensive this and that, but this one is really out there. 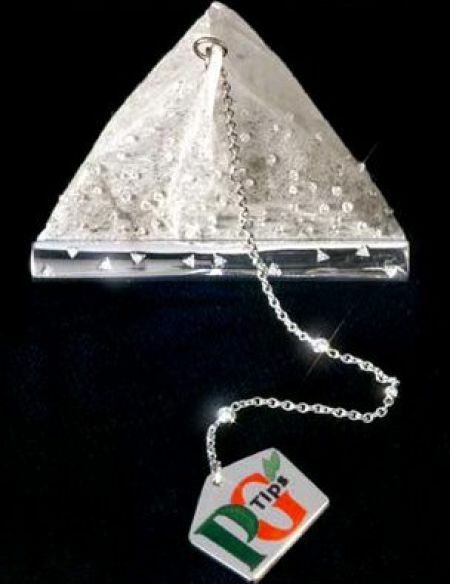 In celebration of the 75th birthday teabag was created with 280 diamonds and is worth $12,000.00. They wanted to do something special and to remind people just how much great British tea tastes. PG Tips ran a contest where participants could win the diamond encrusted tea bag. The runner ups won a year’s supply of tea. I am curious if the winner actually used the teabag or not. Learn Something Fun: Until the nineteenth century, solid blocks of tea were used as money in Siberia!